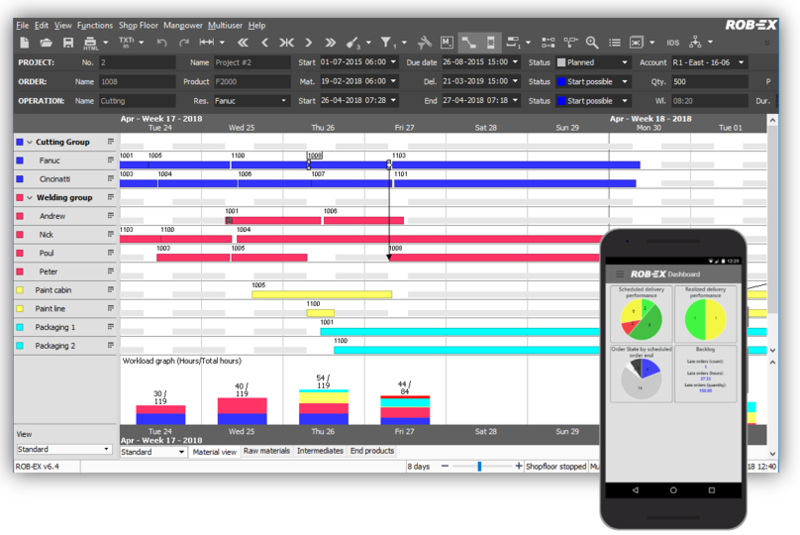 Thank you for using ROB-EX Scheduler, the best tool for manual and automatic visual production scheduling. This manual describes functionality and usage of ROB-EX Scheduler Planner and ROB-EX Scheduler Viewer for versions up to and including 6.4. If you are new to ROB-EX Scheduler, then the chapter Solving my first scheduling problem will give you the introduction tour. Use the table of content for quickly jumping to the different sections of the manual. Use the full-text search engine to get quick answers to your questions. We welcome feedback to this manual. Use the “Post your comment” option available at the bottom of each page. This will send a message to our support, and we will incorporate approved comments into the page text. Your comment is not visible for other users.